Social psychology is the application of scientific methodologies to justify how one’s feelings, thoughts,and behavior are influenced by the implied, actual, or imagined presence of another. 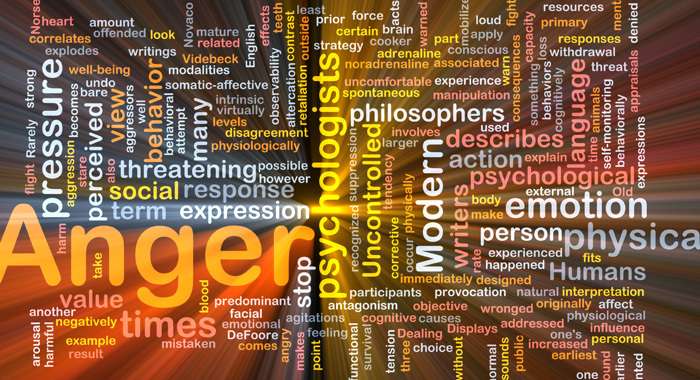 Social psychology comprehensively covers societal issues such as social perception, nonverbal behavior, aggression, discrimination, conformity, and leadership. Social perception and interaction are the most commonly studied behaviors. By studying both individuals and groups, social psychologists work to correct and even prevent negative interactions. In many ways, this field is an interdisciplinary school of thought which combines elements of both psychology and sociology. If you enjoy watching people and finding out what makes them “tick,” as well as what mental factors make societies function the way they do, a career as a social psychologist might be the ideal one for you. If you do plan to study in the field, take into account this list of the best states in which to study social psychology. Michigan, home to the Great Lakes, is the eighth most populous state in the United States. With generally colder climates throughout the year and socioeconomic problems which stem from Detroit’s collapse as a major industrial center, this state has a lot of individuals with different type of psychological ailments resulting from severe depression. The University of Michigan Ann Arbor has been ranked as the country’s best university in which to study sociology, making it the logical choice for those wanting to study social psychology. The school’s social psychology bachelor degree emphasizes the social factors affecting human psychology in general through coursework in evolution and human adaptation, culture and cognition, organization, and women studies. Ohio is the seventh most populous state in the Midwest. Settled primarily by Central Europeans, Scandinavians, and British and Irish emigrants, Ohio’s social profile is highly multicultural in nature. As a result, it’s fertile ground for social psychologists who study ways to regulate communities while maintaining important cultural heritage. The Ohio State University offers the best social psychology education with fundamental subjects such as social cognition, individual differences, attribution, attitudes and persuasion, and political psychology. California is among the most culturally diverse states in America with a combination of America, Latin American, and Asian societies. Because new mannerisms and needs emerge all the time in the state and different ethnic groups cling to old customs, social psychologists are needed to bridge the gap between old and new, local and foreign. For this purpose, Stanford University offers one of the best social psychology programs in the world. With coursework in social norms, personal perception, conflict resolution, judgment biases, morality, prejudice and stereotypes, and cultural diversity, Stanford can fully prepare a student to enter a new career as a social psychology expert. Connecticut is a strategically located northeastern state that shares borders with New York, Massachusetts, and Rhode Island. The New England area still bears evidence of its primarily Irish, British, and European roots. Settlers from these areas all brought different mindsets and customs with them, and that variety sometimes leads to conflict and social tension even today. To study the various socio-psychological perspectives necessary to fully understand the area and its people, Yale University, ranked the fourth best post-secondary educational institute in the US, offers graduate programs in social psychology. These programs cover advanced understanding of behaviors relating to frustration and aggression, studies in intrapersonal processes, intergroup cooperation, and conflict. Despite its small size, Massachusetts is the fourteenth most populace state in the country. Because of its large number of post-secondary colleges and universities, the state is arguably the leading college state in the nation. Harvard University,the country’s oldest university and one of the most highly regarded schools in the world, is ranked the fifth best provider of education in social psychology. Its master’s program in social psychology focuses on areas such as development of social cognition, group and intergroup relations, unconscious processes, and judgment. There is a new doctorate in psychology called a Psy.D, it is more clinically based than the Ph.D and has less supposed status academically, according to those with Ph.Ds, of course.